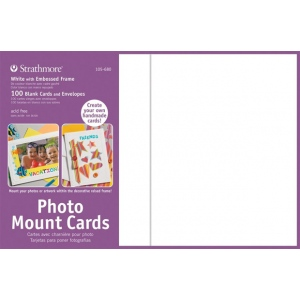 Mount photos artwork or pictures to the front of these beautifully embossed cards. 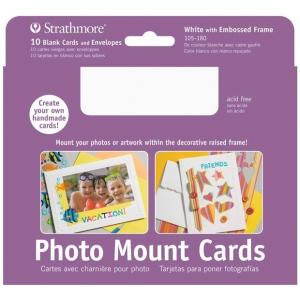 * Included in each package are double-stick tabs for adhering up to a 4" x 6" picture. * Cards are 80 lb. 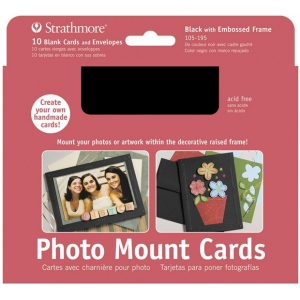 cover measure 5" x 6d" and feature an embossed border. * Matching envelopes are 80 lb. text and measure 5¼" x 7¼". Size: 5" x 6 7/8"